WASHINGTON — The investigation into the culture of the University of Maryland football program is expected to finish mid-October, a time frame that would seemingly put its completion just before the next scheduled University System of Maryland Board of Regents meeting. When the details of a separate investigation into the death of sophomore Jordan McNair were produced at the last board meeting back on Sept. 21, University System Chancellor Robert Caret suggested the culture investigation was “proceeding quickly” and that it could be completed by the end of that month. While the two investigations are looking at separate matters, some of those who have criticized the school’s handling of McNair’s death view that episode as a greater indication that the culture of the program has become “toxic.” Those allegations were first made in both an ESPN report and a subsequent Washington Post story. Several current players and their parents have refuted that characterization. Right now, it’s not clear what the current ongoing investigation has turned up. Multiple members of the committee have refused to discuss the findings, deferring all comment to the Board of Regents. At this point, board members have not been briefed on anything that’s been learned yet. The full board is scheduled to meet in Hagerstown, Maryland, on Oct. 19. 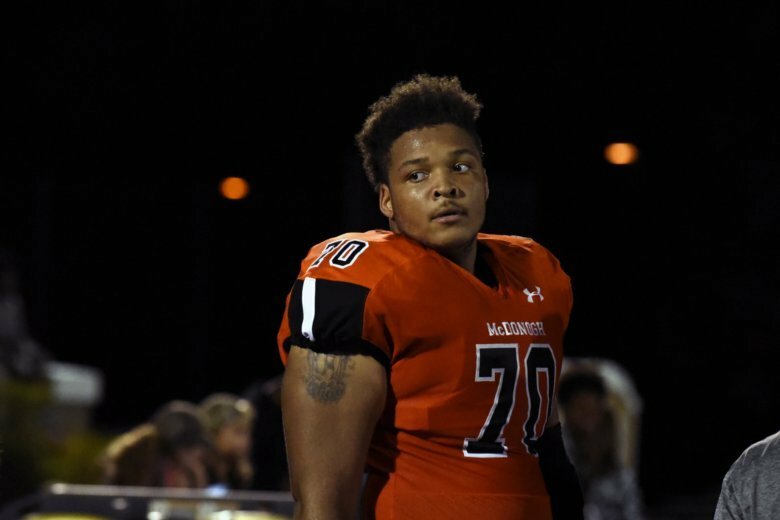 Earlier this summer, University of Maryland president Wallace Loh said the school took full legal and moral responsibility for McNair’s death, but pointedly declared that football coaches who were present at the fatal workout were not to blame. The subsequent investigation led by former athletic trainer Rod Walters, who now runs a consulting business, seemed to echo Loh’s assertion that the school’s training staff was to blame, pointing out missteps taken in the moments after McNair fell ill.
Now, it’s believed that this second investigation could impact not just head football coach DJ Durkin’s future, but the futures of Athletic Director Damon Evans and even Loh as well. Money could be a factor in the decision-making process. Firing Durkin or Evans without cause would likely cost the school millions of dollars. There’s also the potential for litigation. Since it’s unclear just what findings and recommendations could be presented to the board — combined with the amount of money at stake — one regent has cautioned that the release of the report won’t necessarily provide the resolution some people may be expecting, and instead would only be one more step in a process could still be weeks or months away from concluding.